We still have an incredible volume of snow here in the alps for the time of year. Although much of the snow has been stripped below 1800m the snow above that is in good shape. 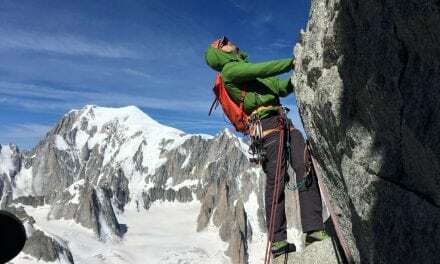 “Team Holland” were over in Chamonix for four days with the main aim being a ski ascent of Mont Blanc. 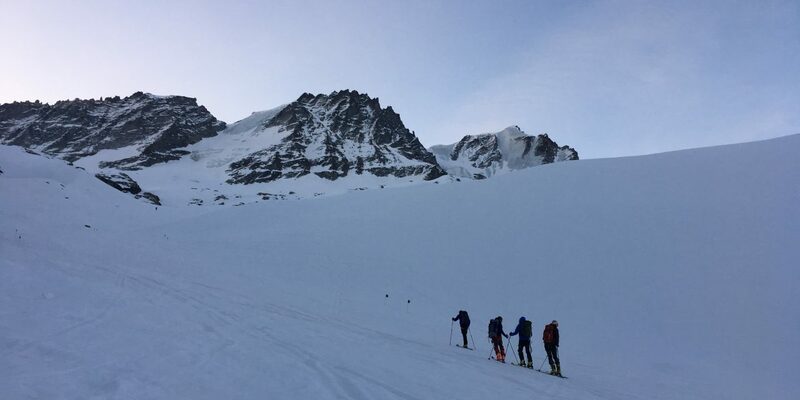 The conditions, and weather were a bit against us however, so we switched the whole programme around and ended up with four quality spring ski touring days, with contrasting ascent and descents all week. The Grand Paradiso from the Chabod Refuge was a good start, although the snow at the beginning of the descent was hard and tiring. We made good time on the round trip, and got a whole bunch of “kit faff” out of the way at the same time. The weather forecast was changing all the time, so we went for a big third day as well, traversing from the Chamonix resort of Grand Montet, over the Col du Passon, Col du Tour and finally a long descent of the Glacier Grand to the village of Trient in Switzerland. It was a long hot day, but with some absolutely fantastic skiing down the upper glacier, before the obligatory tree bash and walk to the car. Proper adventure. To cap the week off, we walked and then skinned the local Swiss summit of Pointe Ronde, skiing the steeper north face back into the valley. 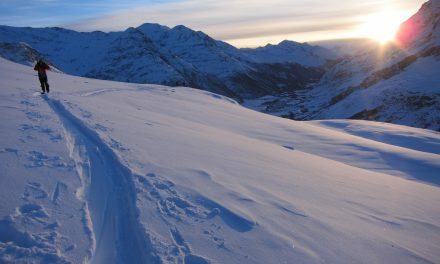 Conditions for high mountain ski touring remain good, all we need is some settled weather again so we can profit from this bumper snow winter.